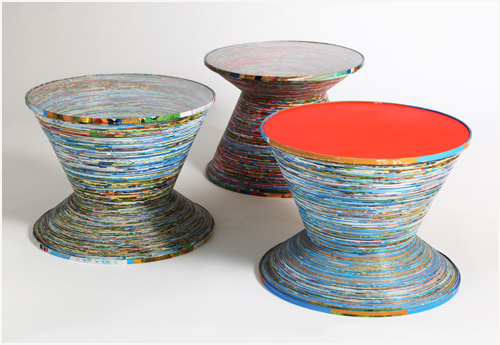 German designers Verena Stella Gompf and Cordula Kehrer, collectively Gompf & Kehrer, conceptualized these Paper Tables which are handmade by a fair trade cooperative in Vietnam using paper from mis-prints and leftover posters collected from local print shops in Vietnam. 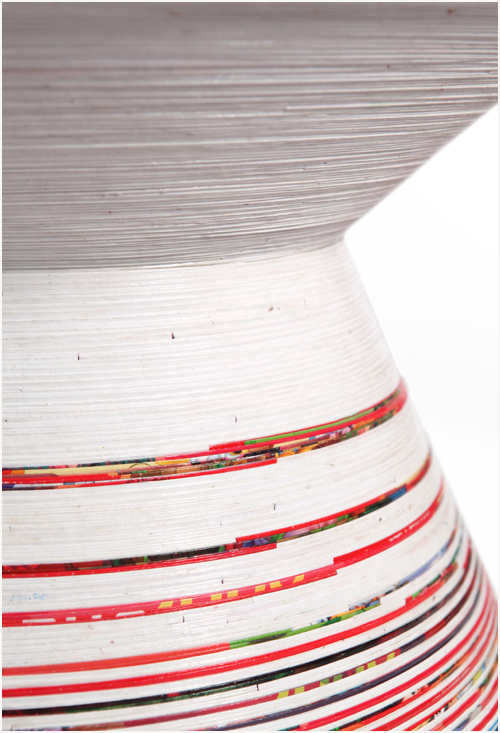 Paper is then sorted according to color, and then are cut, sampled and compressed into a new material that is comparable to wood grain. 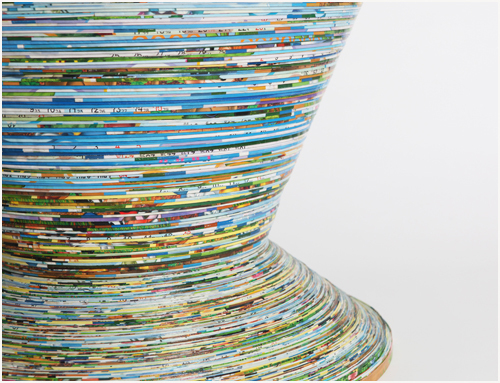 The strips are then ordered into a random play of colors that look like a stack of paper or perhaps the profile of a large illustrated book. 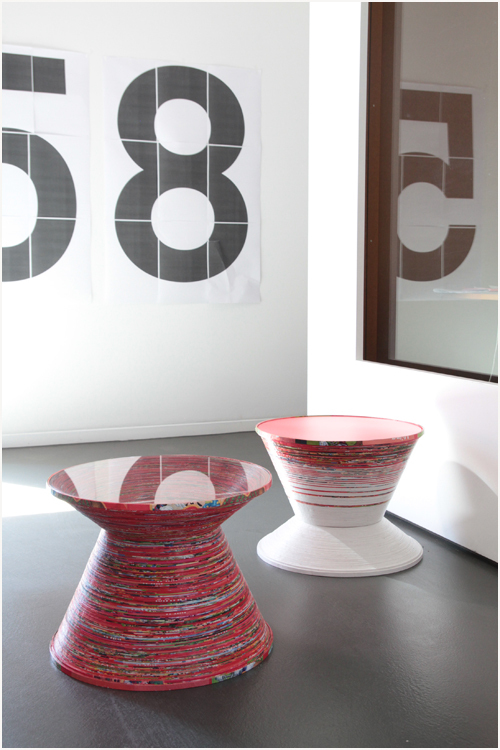 Each table is unique. Craftspeople from all over the Vietnam are provided with microcredits and helped building up a business. A part of the benefit goes to social projects involving education and fair trade work. 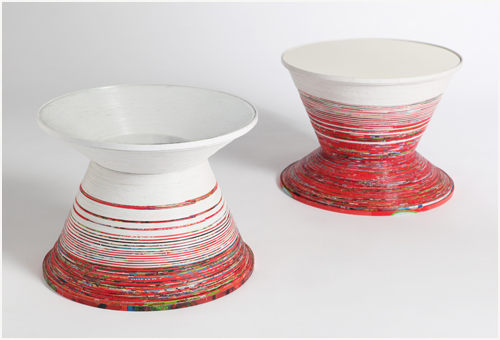 These tables are available in red and blue, and may only be purchased through the Gompf & Kehrer website for 345 Euros each (approximately US$442). This product is not available in the US at this time. This is their first project as a duo.